Kenmore Grill Only $26.99 | A Savings WOW! WOW! You can get this Kenmore 2 Burner Red Patio Grill that was regularly $269.99 for only $26.99 – what a great savings! It’s perfect for smaller spaces and still has 427 square inches of grilling space and 20,000 BTUs of grilling power. It’s available for free in-store pickup which means no shipping costs. 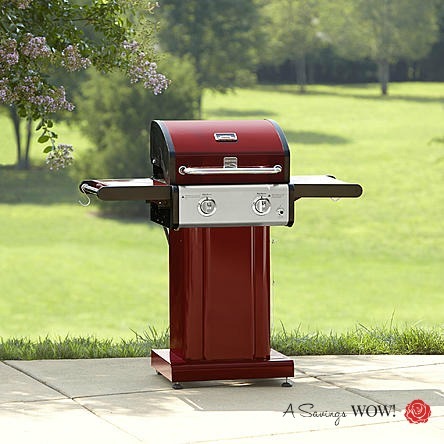 – Make sure you stay logged into your Shop Your Way Rewards account and then click on this link to purchase the Kenmore 2 Burner Red Patio Grill for only $26.99 with free in-store pickup.